Golden Triangle Bike is hiring for multiple part-time and full-time positions! Rental Attendant – We’re looking for friendly, outgoing people to join our team in our downtown Pittsburgh and Homestead locations. Candidates must have customer service experience and enjoy working with people. Knowledge of bikes and the local riverfront trails is a plus. Responsibilities include renting bikes, explaining trail map/directions, bike fitting, processing cash/credit transactions, maintaining cleanliness and organization of equipment and work area. Tour Guide – We’re looking for outgoing, energetic people who are interested in showing off our great city by bike! Previous guiding experience, knowledge of Pittsburgh history and bike trails are a plus. Must be comfortable leading groups along the trails and throughout the city safely. 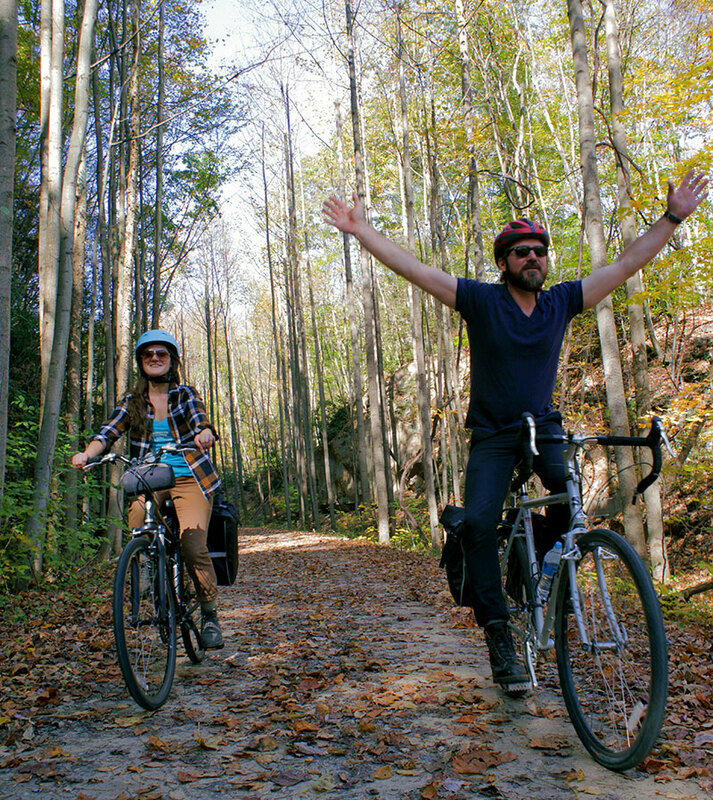 Trip Planner – Golden Triangle Bike offers services for multi day trips on the Great Allegheny Passage, a 335 mile bike trail connecting Pittsburgh and Washington D. C.
We’re looking for an organized, detail-oriented, multi-tasker to assist with booking bike trip details including: lodging, shuttles, luggage transfers, and bike rentals. Responsibilities also include creating and sending customer itineraries and arranging logistics. Candidate should possess outstanding interpersonal communication, ability to simultaneously juggle multiple tasks, and ability to maintain quality partner relationships. Familiarity with excel, google docs, bike touring/travel, the bike trail and trail towns are a plus. This position requires a high volume of admin-type work with potential to complete most work from home. Compensation for positions ranges from $9 – $15/hour depending on previous experience and knowledge. Please send resumes and interest to britt@goldentrianglebike.com.